Sinister 7 - 100 miles/161 Kilometres - 19,000 feet/5,791 metres Vertical Climb - 30 hour time limit. 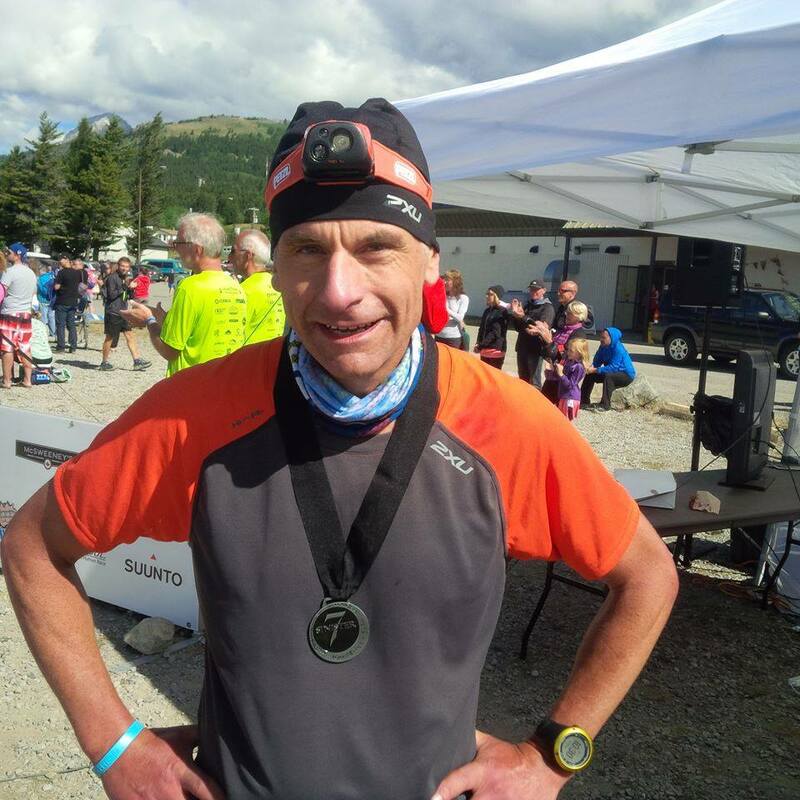 In July 2016 after 2 failed attempts I finally finished this race which truly lives up to it's Sinister name. More than just a race this was a 2 week trip of epic proportions with my friend Marc. 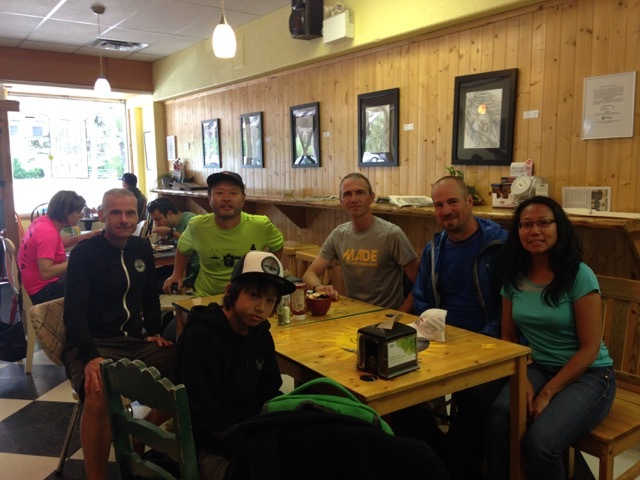 It was a reunion with my western ultra running family. These are the crazy people who run these races and crew the people who do. Before I tell my story I have to thank my friends Marc for being a true friend and great traveling companion, Sherri for the best crewing ever, and Hiro for booking the hotel room at the race a year in advance so I would have to enter again! 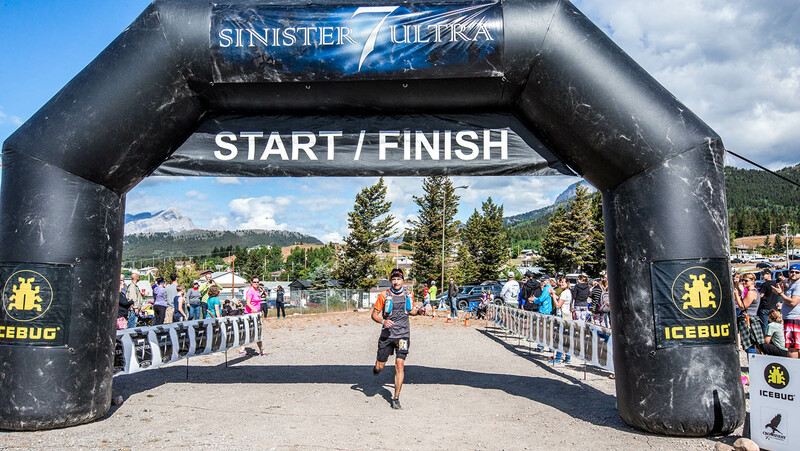 On the morning of July 9th, 2016 a crowd of runners from all over Canada, the USA and other parts of the world gathered on the main street of Blairmore Alberta for the start of the Sinister 7 race. 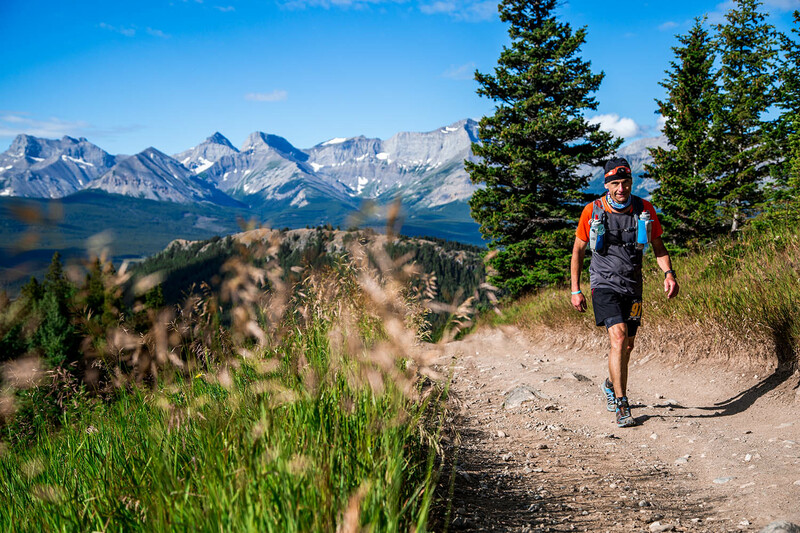 The race is 161 kilometres of rugged trail that is separated into 7 legs that take runners to remote parts of the Crowsnest Pass, looping back towards relative civilization in places. 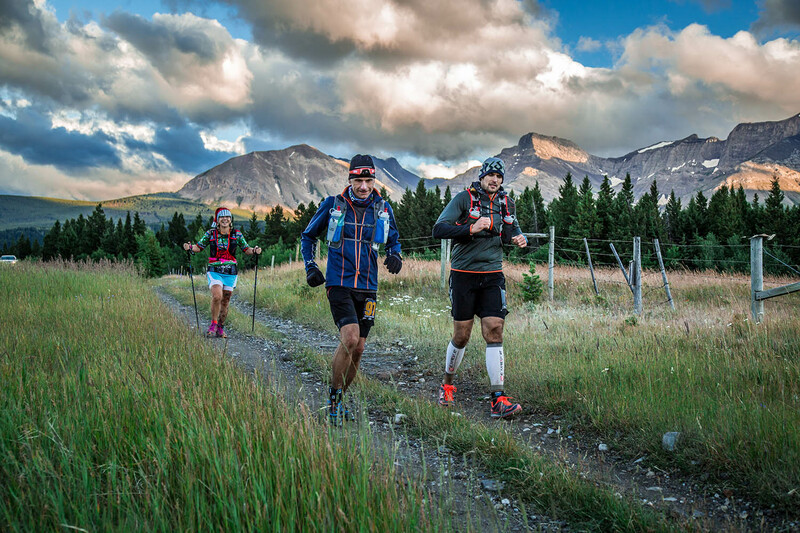 It's wild, it's wilderness and runners had better come prepared. 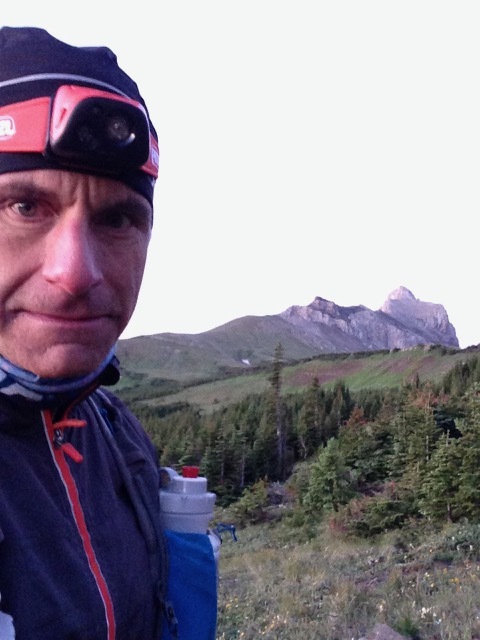 As race director Brian Gallant will tell you "this race will beat you up!" 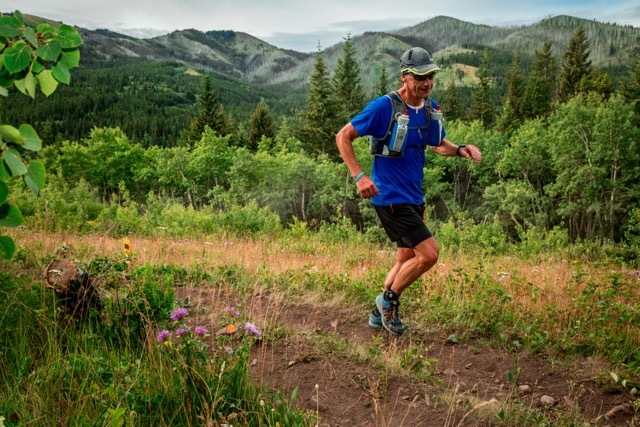 While the majority of runners are on teams of up to 7 runners there is a solo contingent of 216 entries for 2016 who toed the line ever optimistic of their chances of success. I can say from personal experience that you have to remain optimistic and humble in the face of this thing because it did beat me up twice before in 2013 and 2014 resulting in my only 2 DNF's in my life. I was in good company though because in this year's edition only 61 of the 216 starters would finish this gruelling race. 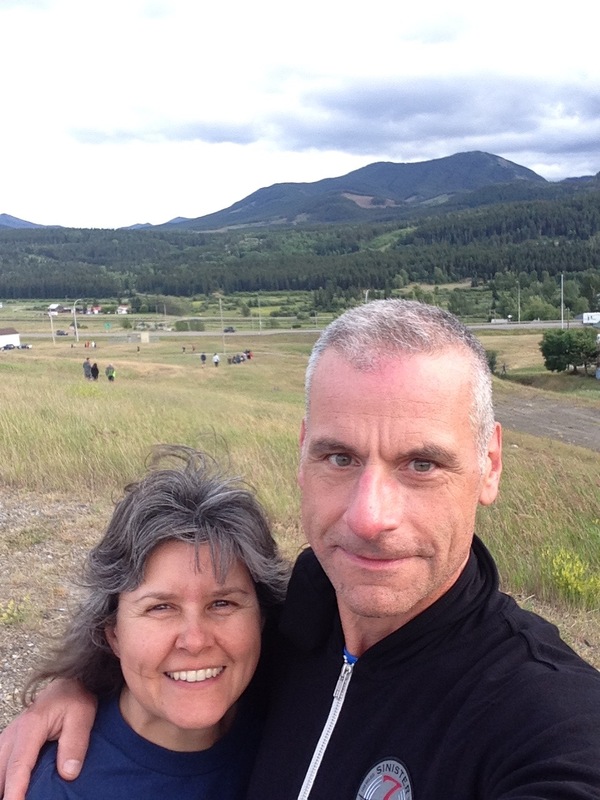 We set off on leg 1 to the cheers of quite a few supporters who lined the streets leading out of Blairmore and quickly ended up running a grassy ditch that led us out to the Frank Slide. The Frank Slide is a rock slide that took out an entire village and is an ominous reminder of the power of nature. After climbing through Bellevue and Hillcrest I climbed around the back side of the slide and eventually ducked into the forest enjoying the morning run and trying to put the concept of how much further I had to go out of my mind. IT's always good to break it down and concentrate on things one leg at a time. Before long I was at the end of leg 1 ahead of schedule and feeling super fresh. That was a good thing because after a brief pit stop to fuel up and fill my water bottles it was on to Leg 2 which is challenging and in my mind good to put behind me quickly to stay ahead on time. So far so good! Cheering and support at the transfer point and I keep on moving as quickly as possible onto leg 2. Sherri - The best crew ever! On leg 2 I had a sense of Deja vu and strangely a sense of relief. The preliminaries were over and you really feel like it's all business from here. I ran without any undue fatigue and had cheerful conversations with other runners. Unlike the previous two attempts I climbed the switchbacks up to some tremendous views faster and more comfortably than ever before. 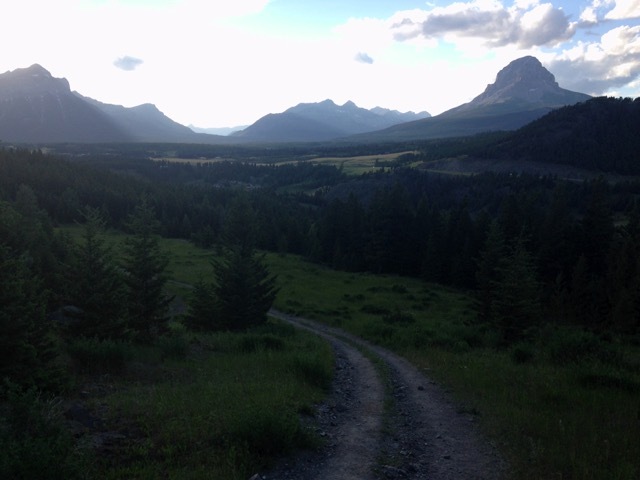 From there the gritty sections came on with the wild ride down the quad busting switchback descent taking me down to cross the river that flows into Blairmore. With the water levels low this year, I was able to cross the tiny bridge they had put in place and keep my feet dry and therefore free of blisters! 3:59.04 and done 2 legs! That made me feel super happy. Leg 2 - Feeling fresh! Leg 3 is the "make or break" leg for a lot of solo runners. In previous years it's been unseasonably hot and humid even at the top of the climbs. It is a 1,357 metre climbing 31.4 km, rugged beast. Fully fuelled I climbed out of the transfer and descended into the valley that leads to the more rugged section once used in an episode of Mantracker. If you like running on a combination of single track mixed with washed out ATV trails, this is for you. With the temperature being more comfortable this year I reached the point where I had struggled to maintain a running pace last time and managed to continue running! When I reached the 2nd aid station 2/3rds of the way through I actually felt amazing for the first time ever. Leaving the aid station and continuing over the top I ran the rugged descent towards the climb out of Satan's Sack. this climb tests everyone as it's super steep and seems to go on forever. At the top of it the reward is a super beautiful panoramic view of the mountains on the other side of the highway. Having made that climb and still feeling great I ran down towards the 2/3 transfer for my 2nd visit to take fuel to prepare for leg 4. I had survived leg 3 in 5:07 (9:05 elapsed) and done 3 legs and 68 km. It may not seem to be such a fast time but when I considered the elevation and the rough nature of the trails I was happy. No time to waste as leg 4 was beckoning. Leg 4 hits you smack in the face with a chin scraper! A steep climb up a ski hill reminded me that although leg 3's climb was behind me, there was a whole lot of race left. Having done the climb it opened up into an area that used to be densely forested but was now open due to some logging which afforded yet more views previously unavailable. this section landed me back at the aid station that is also part of leg 3. After that aid station I took stock of urinary output and it was good. Not so dark and more volume. 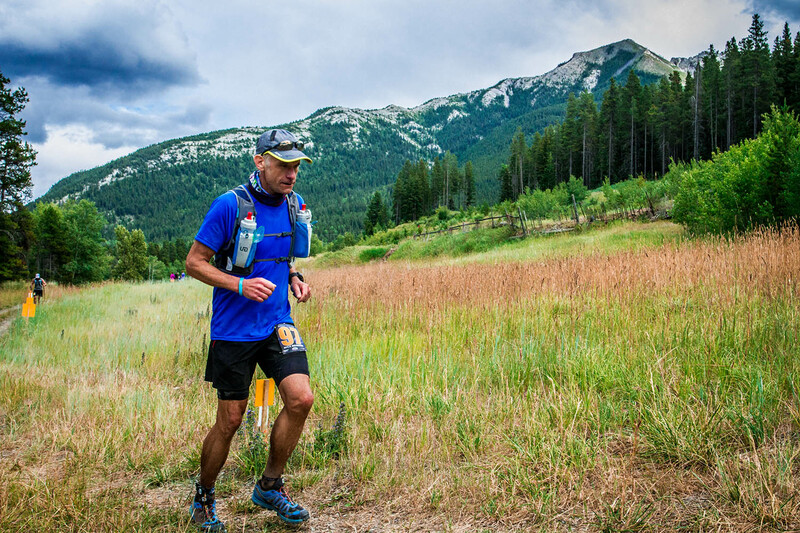 These are important health indicators in 100 mile races. This fact bode well for the coming long cross country section of leg 4. During the rolling cross country section I was hours ahead of previous years and feeling pretty good for the first half of it but of course that changed. Ah the stomach, the bane of any ultra runner's existence! My stomach began realizing how much gel I'd stuffed in there along with the real food, and boatloads of fluids. 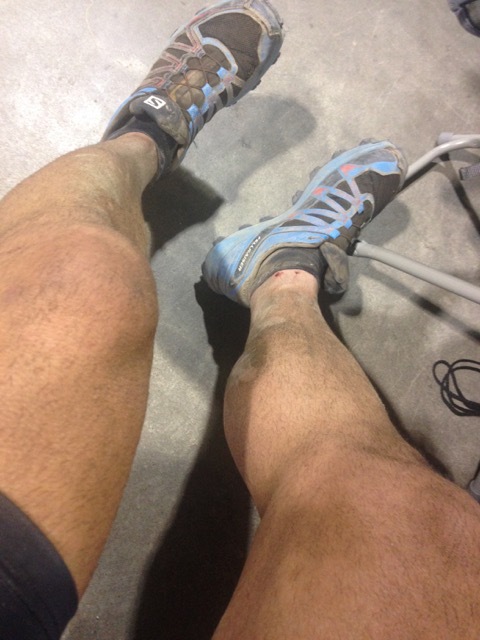 I had become queasy like previous years near the 89 km mark of the race. Just past half and worried about how it would affect me was not the place I wanted to be. I pulled into the checkpoint at the end of leg 4 and was met by my friend Sherri who was crewing her friend Colin and a few others. She had mobilized her own crew of people and before I knew it I was being re-clothed, fresh socks being put on, and fed! I knew that despite my stomach feeling a little off I'd need calories so I took broth and some potatoes. The mistake I made was the meatballs. My head was not working right at that point and despite normally being 100% plant based I took some. What followed can only be described as the most selective throw-up ever. Only the meatballs returned so my vegetarianism was maintained! Leg 4 was done in 3:20:36 (12:20 elapsed) and done 4 legs and approximately 89 km. With my jacket on I pressed into leg 5 in full daylight still ahead of schedule on track for 24 to 25 hours. Leg 5 was probably one of my hardest although none easy! My stomach had declared it's intentions to stop digesting food and water. Without these 2 ingredients it's impossible to continue. The absolute best part was meeting up with Colin and Monique and sharing leg 5. Colin is a very determined person who embraces the suffering and stays positive regardless! Monique has a smile that no amount of suffering can erase. Her positivity is infectious! With their company I was able to stagger through to the 2nd aid station on 5 where the amazing staff there fed me raw ginger! Reaching the end of leg 5, the ginger had completely turned my stomach back on and I felt positively energized and hopeful that I'd be ok. I met Marc at transfer 5/6 and with his help got salty soup into me for leg 6. 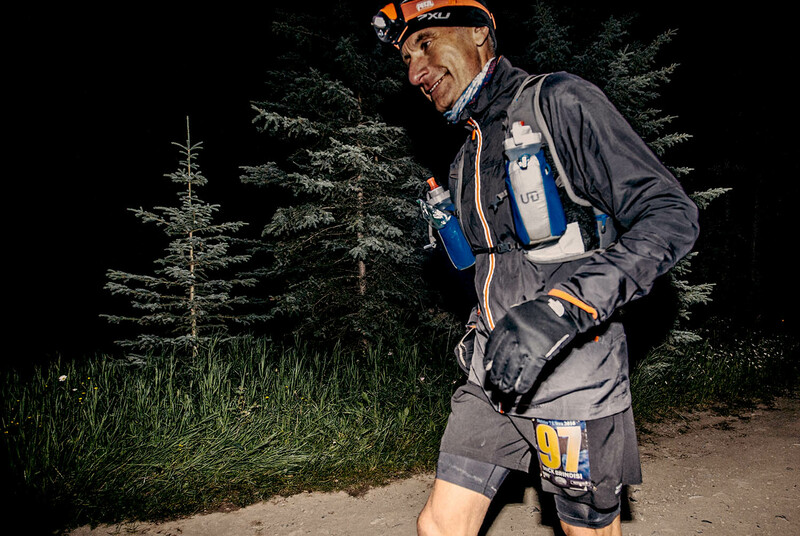 His encouragement was amazing and I suited up with 2 jacket and glove layers for leg 6 and near freezing temperatures. Leg 5 was done in about 6 hours (18:20 elapsed) and done 4 legs and approximately 117 km. I had reached my furthest yet at this race. Leg 5 - Queasy stomach but great company! I was officially into uncharted territory on this my 3rd attempt. Leg 6 didn't disappoint in delivering some punishment with a brutal climb off the get-go. The climb had all sorts of creeks crossing it with uneven rocks and for the first time I was running with soaked feet. Through the forest canopy I could see billions of stars in the alpine night. Other than the stars, my entire world was described within the cone of light from my headlamp. This was a feeling of total meditative peace and I didn't mind being completely alone. After many rolling hills I had come to a clearing and saw the first hints of dawn on and a slightly brightening sky. This was barely perceptible and it's a good thing because I really didn't want to see the climb that everyone talks about on leg 6. 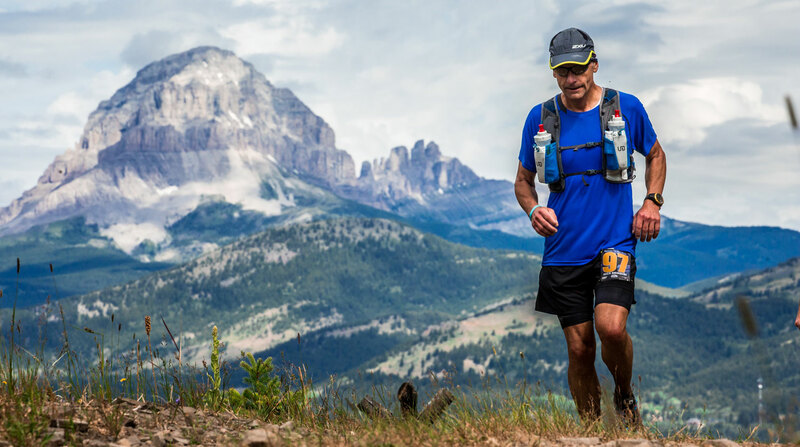 It is one of the worst climbs in the race because it comes at a point where you are mentally and physically exhausted from running all day and night. 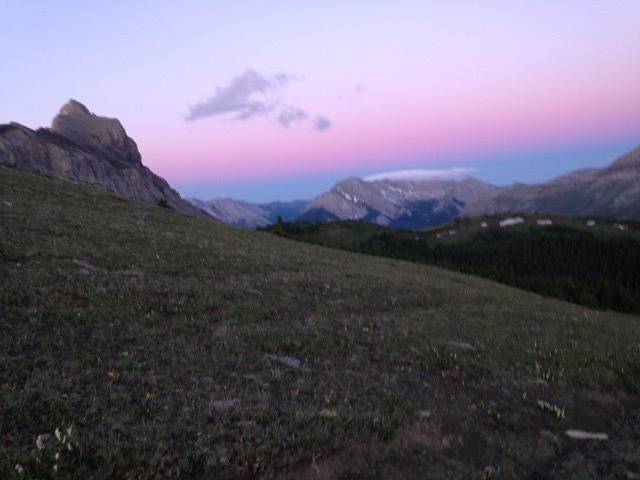 I emerged at the highest point on the course and a band of pink on the horizon had developed. 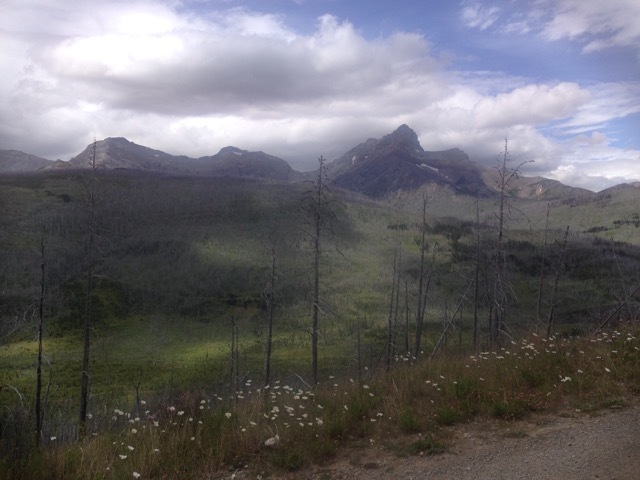 With no trees around I had a stunning view of Crowsnest Mountain and the 7 Sisters and a bunch of mountains on the west side of the valley I was about to drop into. These mountains were bathed in fiery orange and red colour from the sunrise. I was in tears because it was so beautiful and because I realized with certainty that I would finish this race no matter what! I ran as fast as my body could take me downhill and on towards the valley and it's rolling hills and herds of friendly cows! One foot in front of the other and press on was my mantra. I had a lot of soreness but nothing that could stop me running and making decent time. I ran into the aid station at transfer 5/6 and Sherri was there again offering all manner of support. I said I'd been fantasizing about a giant coke with ice all night because all that heavy breathing in the climbs had made my throat so dry that my tongue was sticking to the roof of my mouth. Taking my jacket layers and serving up copious quantities of coke Sherri again showed her big heart and amazing crew skills. I let her know where I thought Colin and Monique were on course and proceeded out on leg 7! Leg 6 was done in about 7:25 hours 25:45 elapsed) approximately 151 km with 10k to go. 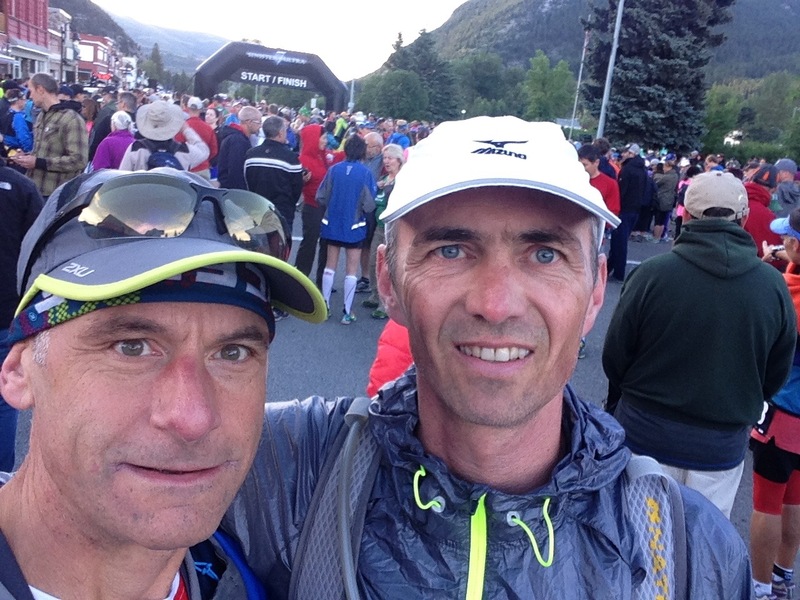 Leg 6 - The beauty of dawn! Leg 7 to the finish! This was absolutely the most enjoyable leg for me. Lots of solo runners talk about how the last leg was soul destroying but perhaps because of the sugar and caffeine in that coke I was enjoying it. 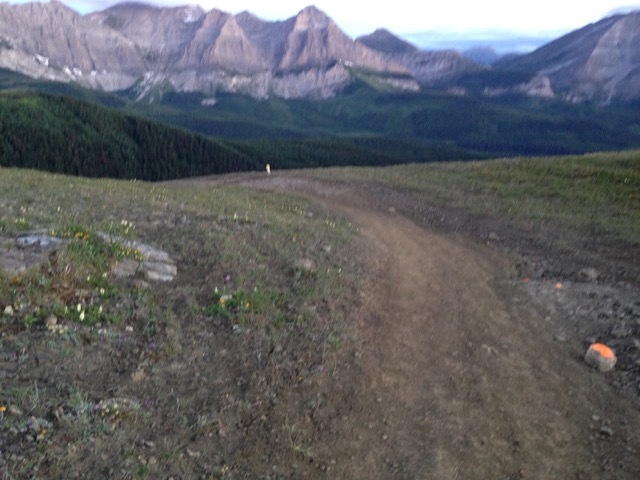 It started with guess what - another brutal climb up Wedge Mountain. I just pretended it was Blue Mountain ski resort back home and got it done as quickly as possible. The climb led into some rolling technical single track and then into a big switchback descent that leads to the finish at the community centre in Coleman. I have no idea how, but I was ripping the downhills as if it was still yesterday morning. I normally love descending but I was surprised to be moving fast enough for a 9th place for leg 7 in 1:35. I emerged from the forest and smelled the finish. 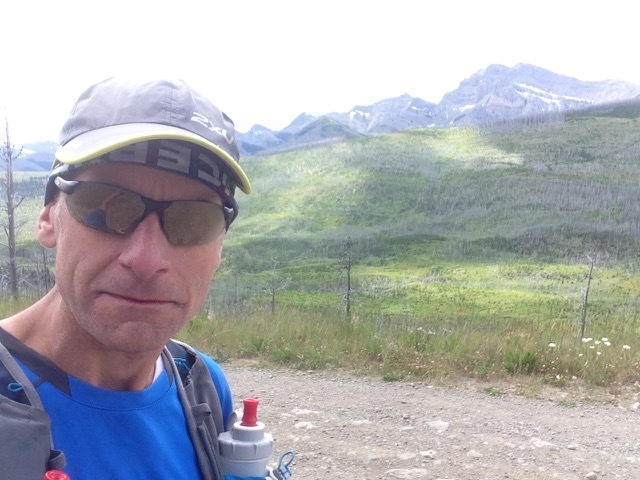 After a short run down a road it turned into the only pavement since the start in Blairmore. At this point I just hung on and ran as fast as I could. Upon passing a runner with only blocks to go he began chasing me! 160 km and 1 to go and an actual footrace was on. I still can't believe I was still actually running at this point but absolutely ecstatic. Rounding the last turn and into the parking area and the finish arch I was again pretty emotional. This was partly because it had taken 2 successful failures before I got to the finish line. But mostly it was because of the wonderful people in this and other races that truly make this sport amazing. 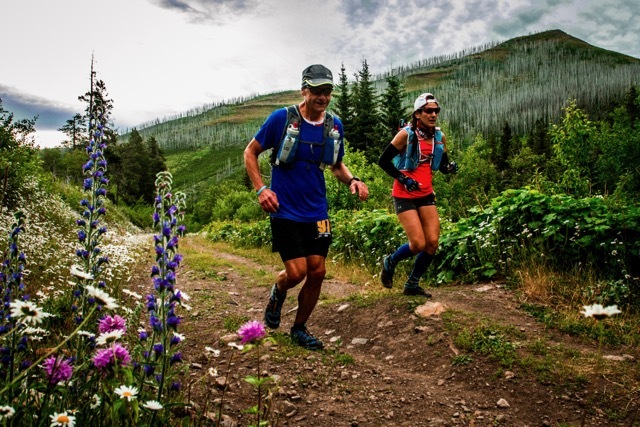 There are friendships that form quickly and solidly born out of ultra running. It must be something about sharing the pain and the challenge that makes this so. Although I find that the sport attracts some pretty solid people with big hearts. The whole mentality is about helping each other succeed against some sobering odds. 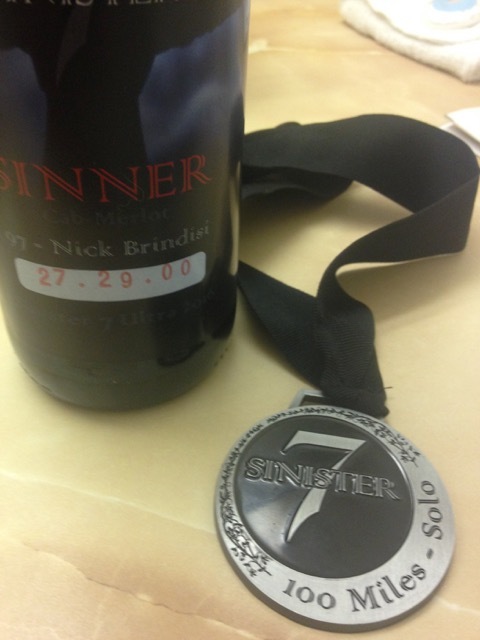 Leg 7 was done in about 1:35 and the full race in 27:29 which was inscribed on the bottle of "Sinner" red wine along with my name and bib number. That plus the medal are very nice mementos of the race but insignificant compared to the company of the friends who all went through this event as participants, volunteers or crew. I'll never be the fastest runner in these events but I do so very much enjoy the challenge and I've realized that no matter what I'll finish eventually. I would encourage anyone out there runner or not to apply this thinking to life. Never settle for ordinary and try again and again until you reach your dreams. Lastly I have to thank my friend Peter Taylor for making me believe I could do this thing. Finish - No better feeling of accomplishment! Stonesthrow Cafe in Blairmore a day after.